Romania is one of the most successful countries at Eurovision recently. The last years were crowned by great results and high votes from all European countries. Romania does not particularly benefits from the “Balkan-connection”. 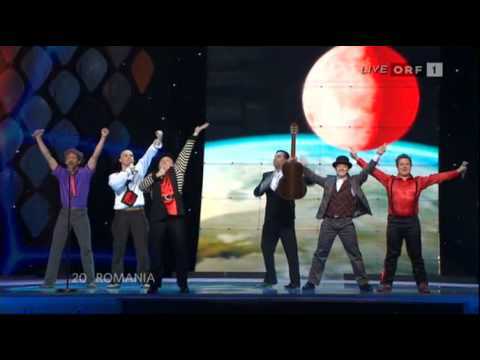 The Romanian songs very always up to date, fresh and powerful. Thanks to “Tornero” sung by Mihai Traistariu Romania is qualified for the big final in Helsinki. This year’s song is a catchy tune sung by five guys in five different languages. The funny part of the song is that the song is getting faster and faster like a Jewish song. Israel’s entry in 1988 “Ben Adam” came 7th with the fast ending. The song will stay in people’s memory, because it’s outstanding and fresh.